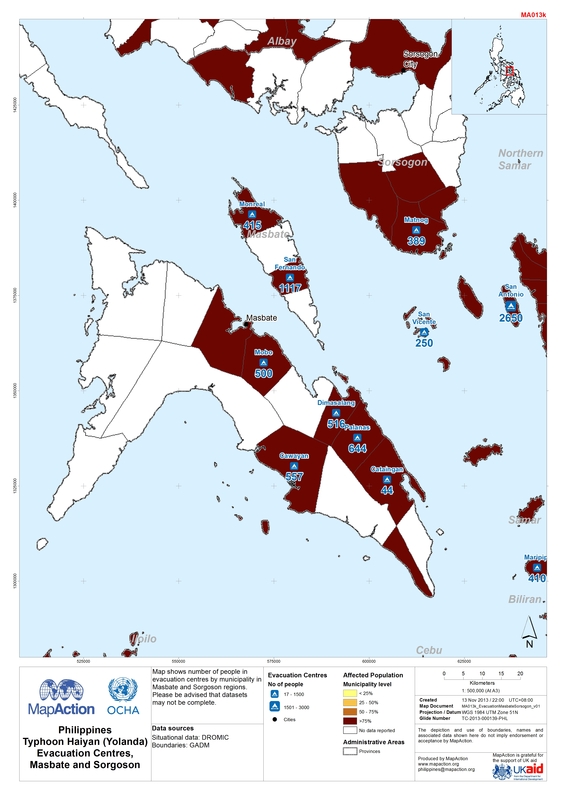 Map shows number of people in evacuation centres by municipality in Masbate and Sorgoson regions.Please be advised that datasets may not be complete. 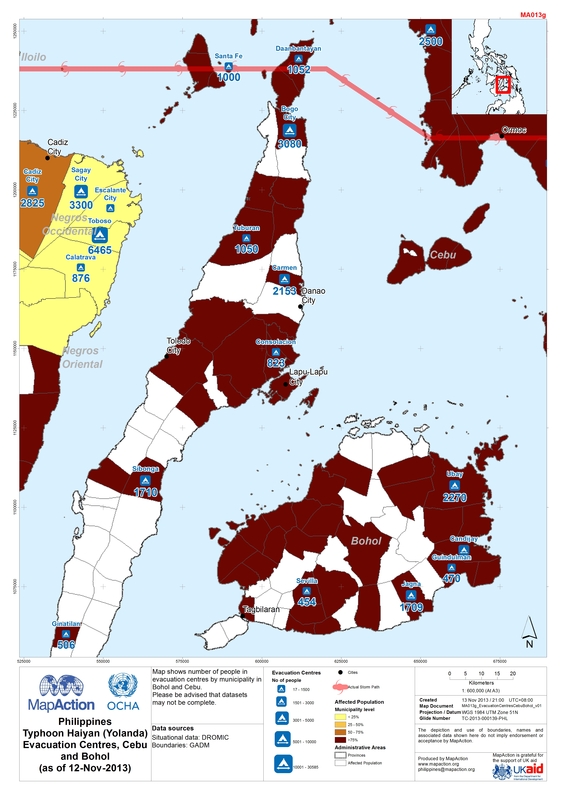 Map shows number of people in evacuation centres by municipality in Palawan and Antique regions.Please be advised that datasets may not be complete. 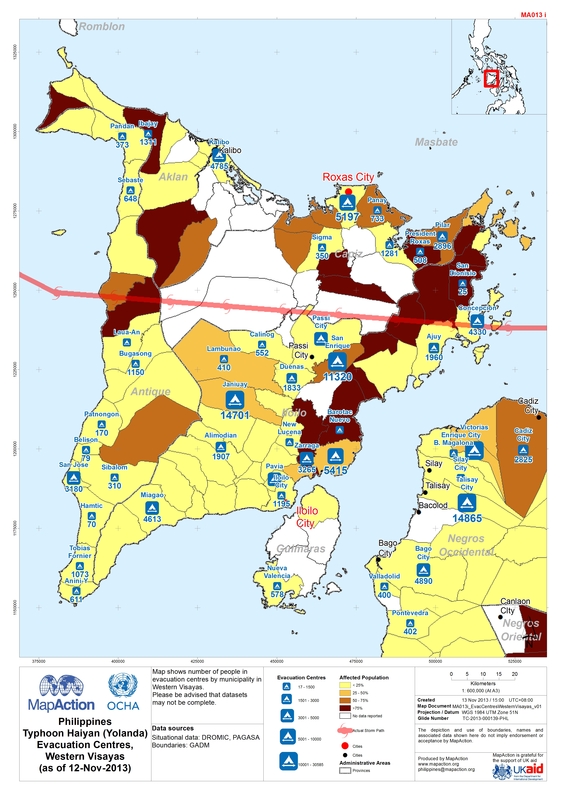 Map shows number of people in evacuation centres by municipality in Western Visayas. Please be advised that datasets may not be complete. 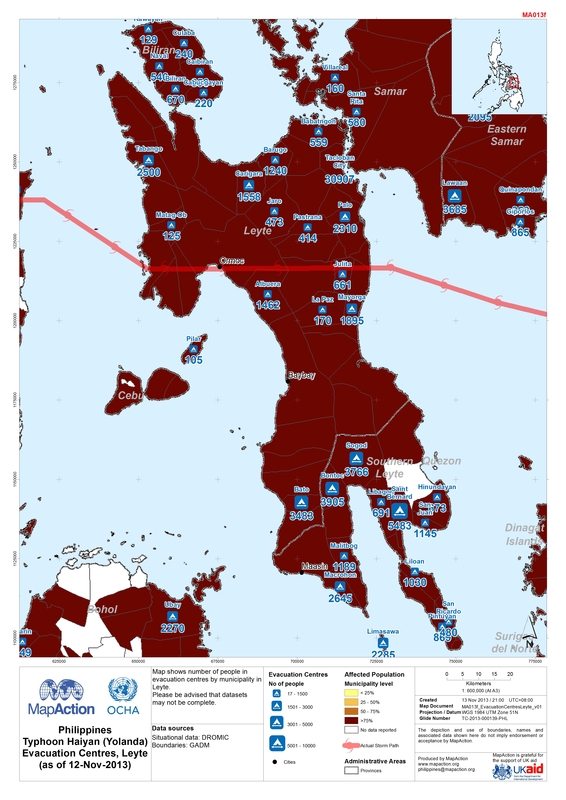 Map shows populations in evacuation centres by municipality in Central Visayas. Please be advised that datasets may not be complete. 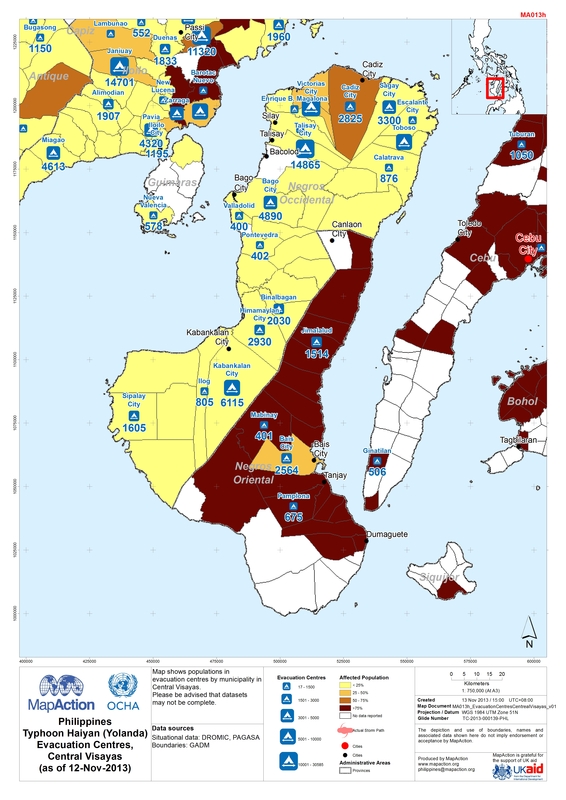 Map shows number of people in evacuation centres by municipality in Bohol and Cebu. Please be advised that datasets may not be complete. 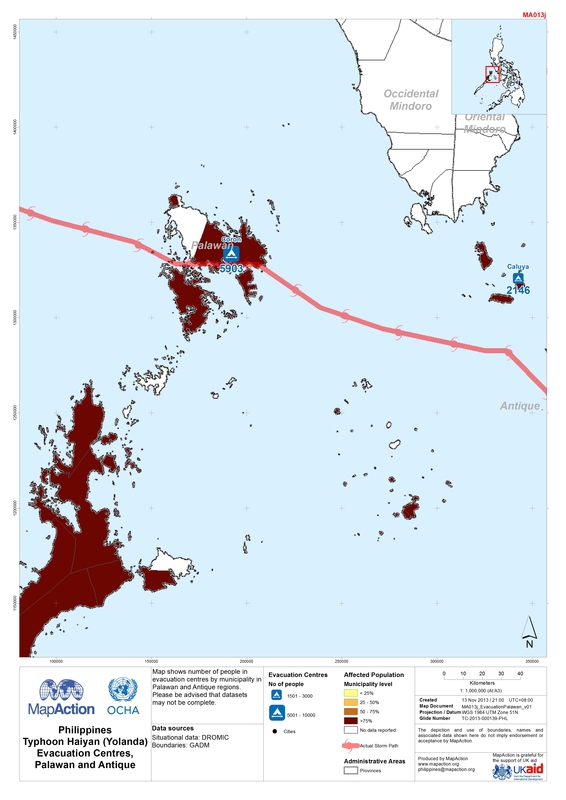 Map shows number of people in evacuation centres by municipality in Leyte. Please be advised that datasets may not be complete. 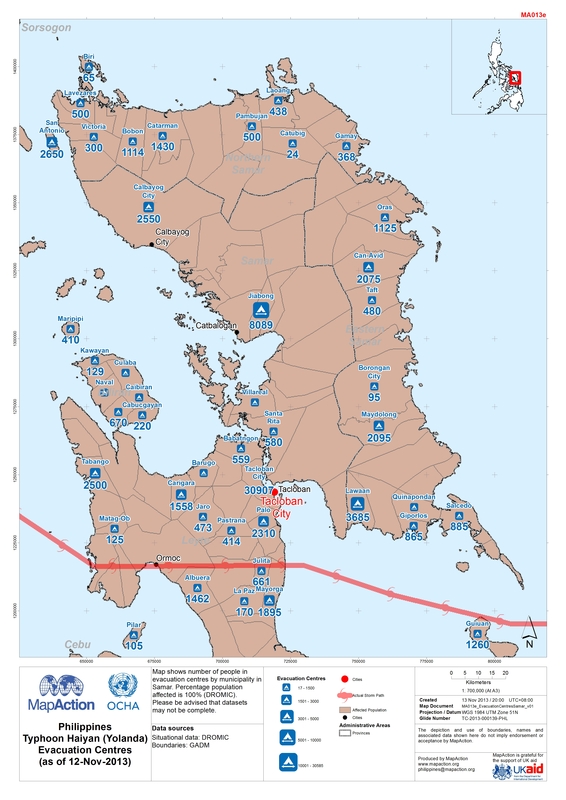 Map shows number of people in evacuation centres by municipality in Samar. Percentage population affected is 100% (DROMIC).Please be advised that datasets may not be complete.